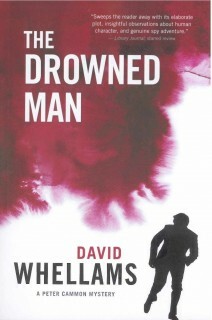 In 2012, Ottawa author David Whellams launched Walking into the Ocean, the first of a crime-fiction trilogy starring chief Inspector Peter Cammon of Scotland Yard. The local launch of the thrilling followup — The Drowned Man — takes place Saturday, May 5, at Books on Beechwood (35 Beechwood Avenue). Travis Persaud interviewed Whellams last year to find out how he came to be a published author. 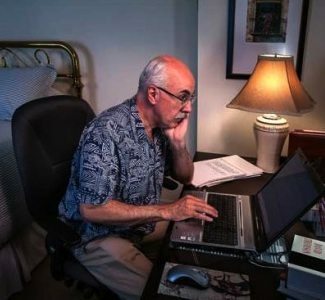 When David Whellams retired, he boasted more than 30 years working as counsel with the Government of Canada in the Department of Justice and the Ministry of the Solicitor General, working on the Criminal Code in areas such as sexual offences and corrections law and contributing to Canada’s Anti-terrorism Act after 9/11. But though there was no room for grey in his work life, he had no clear vision of how to spend his retirement.